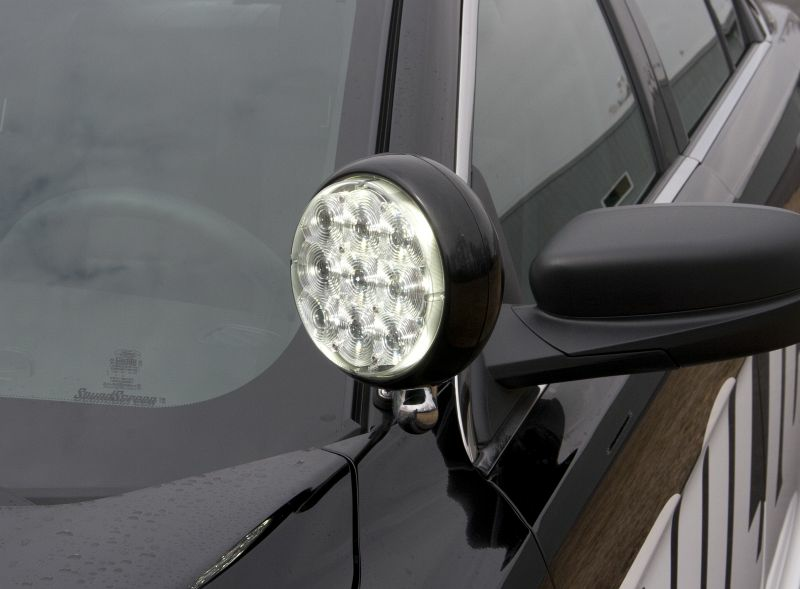 Now you can add Super-LED red or blue warning capability to your Unity® style post spotlight without taking away the effectiveness of the spotlight. DUO™ warning/spot can also be ideal for certain marine, utility and construction applications. Available in 2° and 8° spotlight, DUO color 8° spotlight. 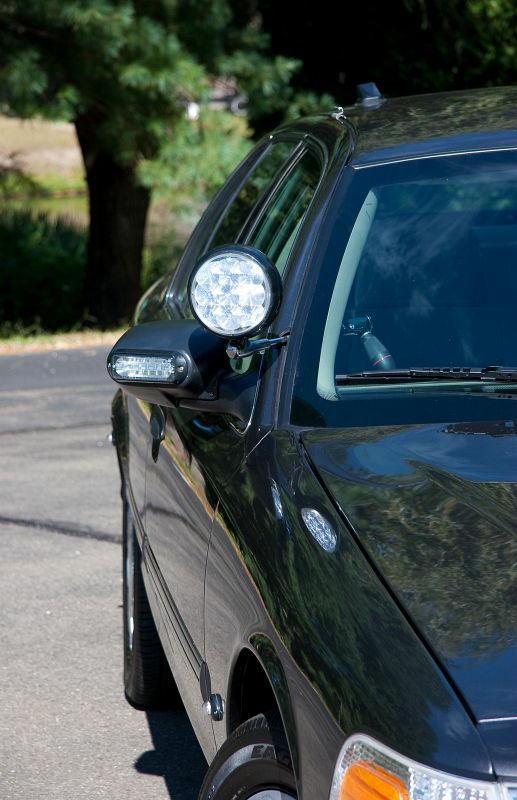 Models available in hand-held spotlights, rubber swivel housings, and replacement lamps. 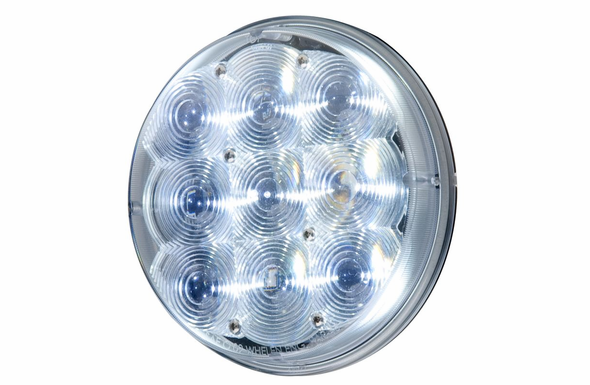 • Ultra bright Super-LED with low current draw and long life. 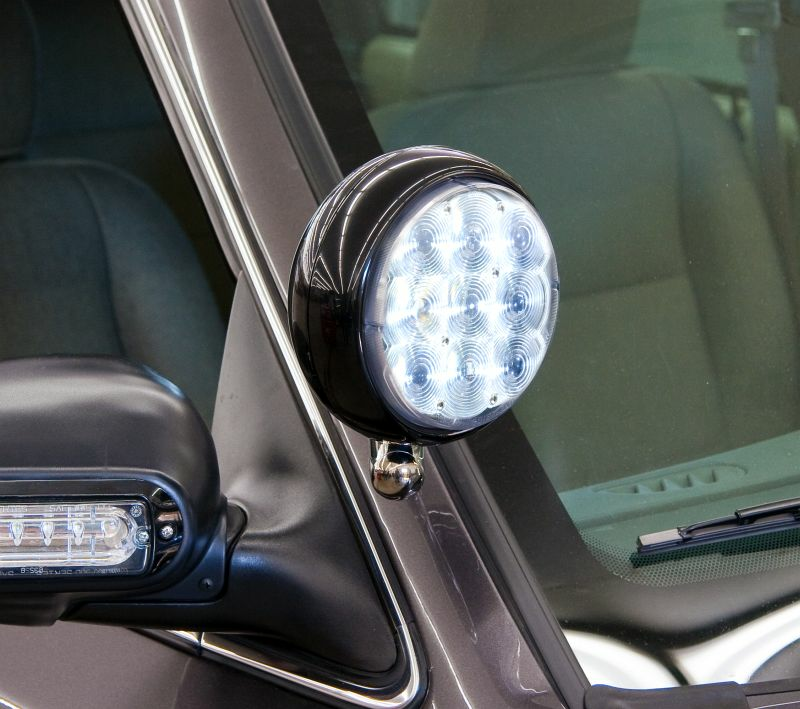 • Single wire control interfaces with existing Unity-style switching, turn on for spot lighting, turn off and back on quickly for warning light activation. • 12VDC. 24 VDC available, contact factory. • Lamps include 10" wires, contact factory for custom wire lengths and termination. 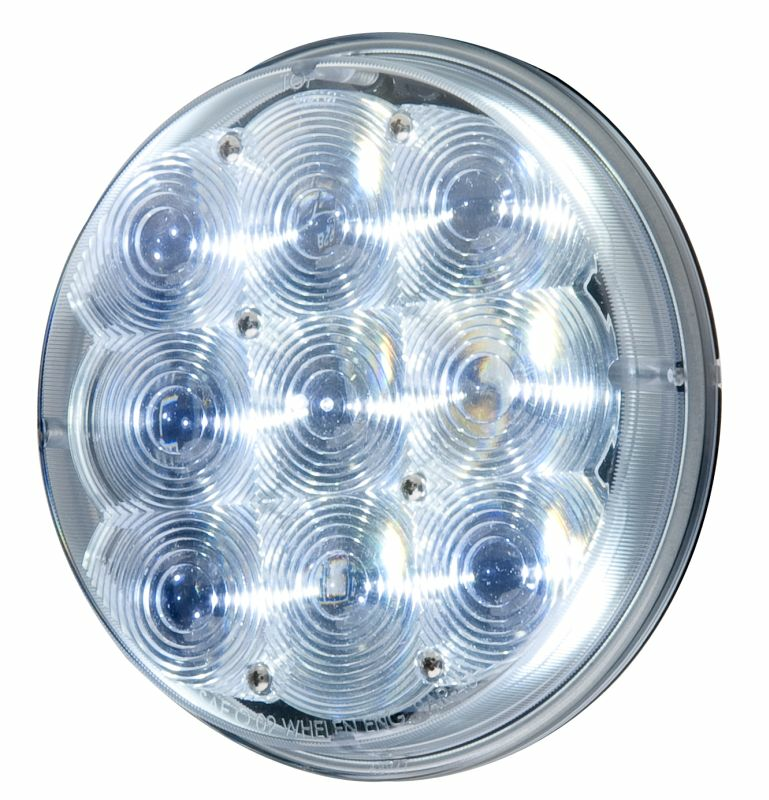 • Whelen Super-LED PAR-46 produces 2000 Lumens @ 30 Watts. • Traditional Halogen Lamp produces 1000 Lumens@ 50 Watts. • Unit weighs only 1lb. • SAE J1113-42 Class 5 EMI certified. Call or email for other colors or models.